Complete with its console exclusive co-op mode. Angry Birds Star Wars is set to be a launch title for Xbox One and PlayStation 4. The console version of the mobile hit recently released for the big current-gen systems, a bare-bones co-op mode in tow. And as soon as your big fancy new system arrives in November, you, too, can fling Star Wars-themed birds at Star Wars-themed pigs. In HD! The biggest markers for the console port of Angry Birds Star Wars are the improved visuals, the 20 new levels (added to the existing 200), achievements, trophies, leaderboards, and two multiplayer modes, one cooperative and one competitive. Touchscreen features are implemented in the Wii U, PS Vita and 3DS versions of the game, and if you're a 360 owner with a Kinect, you can wave your arms around to play, too. For the next-gen versions of the game, Angry Birds Star Wars for PS4 will support the DualShock controller's touchpad as well as PlayStation Move. The Xbox One version makes use of Kinect 2.0 as well, adding in some exclusive timed challenges along with motion control and voice support. That's a whole lot of features for what was once a simple touch and fling mobile game. Co-op mode is confined to a simple local experience where two players take turns tossing birds to complete each stage. Simple, but it gets the job done. 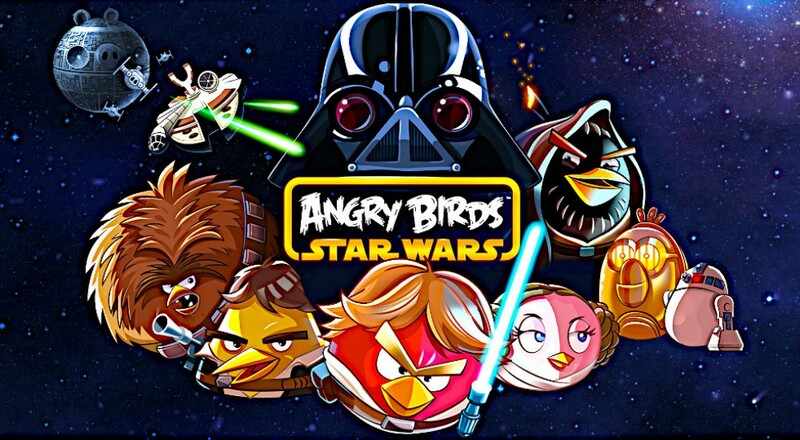 The new installment of Angry Birds Star Wars is available on Xbox 360, PS3, PS Vita, Wii, Wii U, and Nintendo 3DS. It will be available for Xbox One and PS4 when the respective systems launch.